What we’d thought would be a breezy 2-hour bus ride from the coastal town of Colonia del Sacramento to the capital, Montevideo, quickly turned into a 4-hour affair. We were less than 50 kilometres from town when our bus stopped by the side of the road, where we remained fidgeting in our seats, simultaneously trying to guess the cause of the delay and bouncing a groggy toddler back to sleep. We failed spectacularly at both our endeavours. The rest of the passengers, however, seemed completely unperturbed, nonchalantly sipping their mate (a South American herbal drink) and smoking. After what seemed like an eternity, we were shepherded onto another bus which hurtled down largely nondescript freeways, stopping infrequently to let passengers on and off. 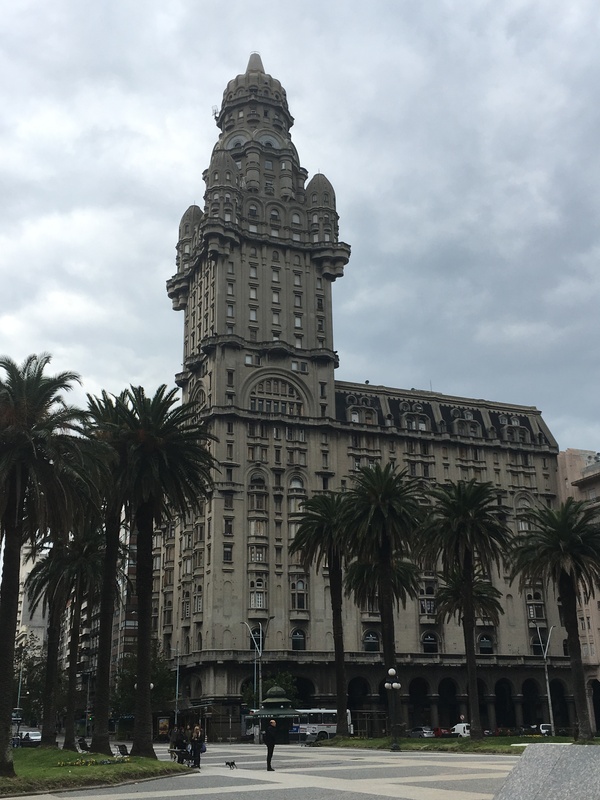 We reached Montevideo late on Friday and checked into our hotel, which hinted at having had a more glamorous past, but regrettably hadn’t managed to retain either the splendour, or the care. After relieving ourselves of both our heavy packs and bursting bladders, we set out to explore the city that in all honesty was never really on our tourist radar. 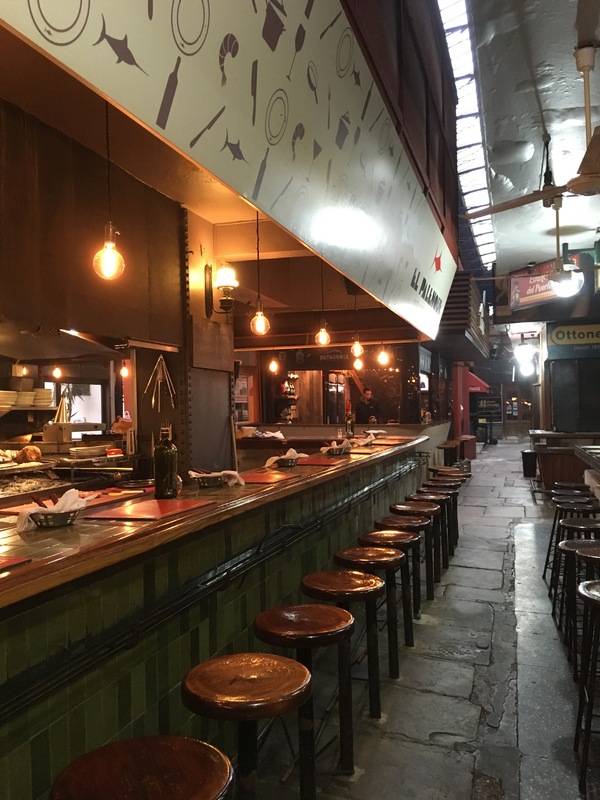 The trip was a spur of the moment decision we’d taken while we were based in Buenos Aires. We made our way towards the only patch of green we spotted on the map – a promised playground for our travel weary toddler. Despite the late hour and the shuttered shopfronts, the square was alive and pumping. Diners mulled over their meals while children raced around an elaborate fountain, turning a deaf ear to their parents as they ran through the frigid spray. Couples sat entwined under trees as more gregarious groups of friends spread out over park benches. All conversations were centred around the communal mate, as friends shared their gourd around, topping up from steaming thermoses of hot water. We followed the thumping beats of live music to find a group of octogenarians, their faces sallow under the street lamps, but expressions vivid, demurely doing the tango. It was tango danced like I’d never seen before. Groups of onlookers cheered and some even joined in. And in that instant, I was utterly captivated. The charm however was short lived as the next morning dawned cold, wet and abysmally grey. It was also deathly quiet. 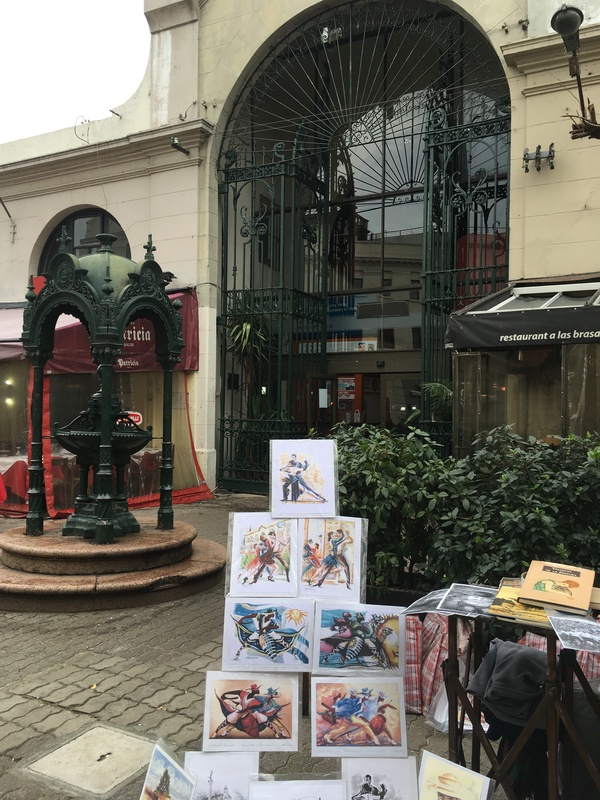 Montevideo is supposedly home to over half the Uruguayan population, a statistic I found hard to believe as we walked the empty streets of the capital, lined with cafes and shops, all of which remained firmly shut well into the afternoon. We wound up at Plaza Independencia, bound by a larger than life statue of Uruguay’s founding father, José Gervasio Artigas, on one side and the phallic features of Palacio Salvo on the other. 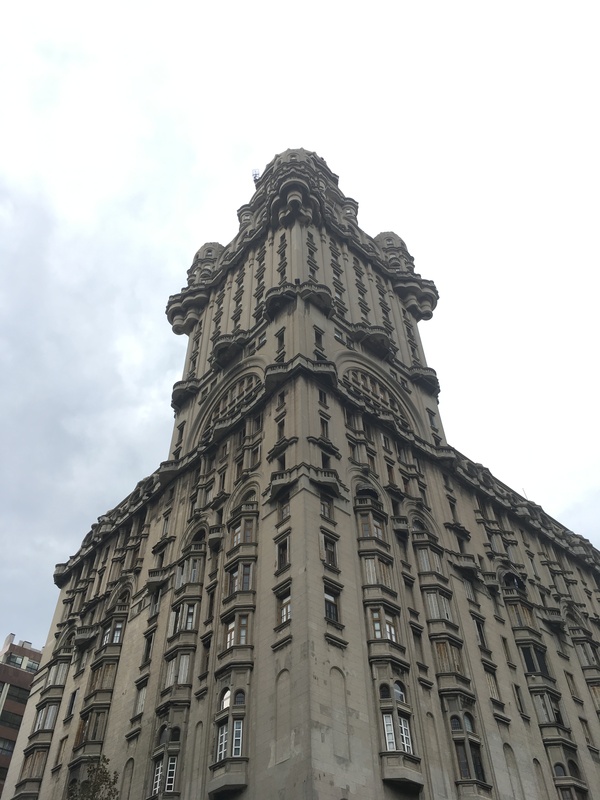 Designed by the same architect behind Palacio Barolo in Buenos Aires, Palacio Salvo seems to defy engineering and artistic rigour, its towers looming over the surrounding buildings. Looking up at it from the spartan expanse of Plaza Independencia, it seemed almost fantastical, like something out of Dr. Seuss. Its intricate architecture set the tone for the day as we ducked down cobbled streets towards Ciudad Vieja, or Old Town. En route, my head swivelled from side to side, akin to watching a tennis match, as I frantically tried to absorb the grandiose architecture on display – offices with art deco facades, churches with colonial pasts and apartments that wouldn’t be out of place in classical Paris. It made me want to walk while staring up at the buildings and not pay heed to where I was stepping. Which is how I found myself stepping in steaming mounds of dog poop; on not one but three separate instances. 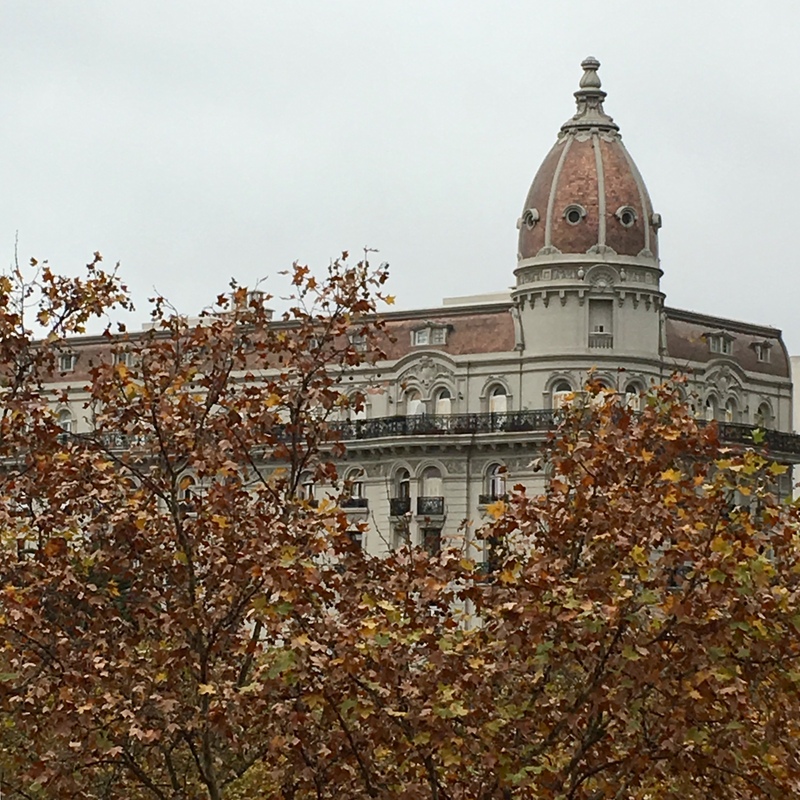 We passed the leafy quadrangle of Plaza Matriz inlayed by yet another elaborate fountain, and headed towards the Mercado del Puerto, the old portside market. A meat-lover’s dream, the market is a veritable warren of stalls that sell a variety of traditional asados or barbecued meat. We came to know during our mid-morning saunter that the market only opened for lunch – knowledge that made us rue our hearty breakfast at the hotel. 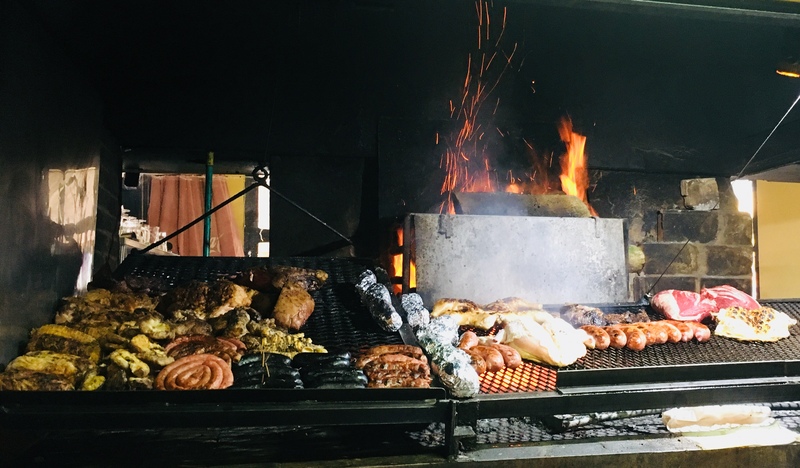 Upon entering through the iron gates, we were greeted with rows of parilla (traditional grills placed directly over a fire), each bedecked with a mind-boggling variety of steaks and sausages. Boisterous waiters, some waving menus while others brandished tea cloths, tried to steer us in the direction of their respective restaurants in a manner that isn’t unlike the shopkeepers in Dhaka’s Chadni Chawk market. Our experience of food in Urugauay has taught us not to judge a book by its covers. Uruguayan food is not always pretty, but it is certainly hearty and delicious! We stumbled upon some unexpected gems during our stay. Gnocchi, or ñoqui as they call it in Uruguay, is a beloved dish. It is so loved that they have an entire day dedicated to eating ñoqui. On the 29th of each month, it is considered good luck to eat ñoqui. Restaurants introduce special menus for the day and grandmothers toil over the kitchen table, hand rolling each delectable bite. And that’s how we found ourselves in Ruffinato, an Italian restaurant across the street from our hotel. It came highly recommended and given what we’d learnt about ñoqui, we just had to try it. And it delivered. The ñoqui was melt in your mouth. The tomato y herba (tomato and herbs for those of us more familiar with Dolmio’s bottled sauces) sauce was silky smooth. There was something magical in its simplicity, pure and exquisite. 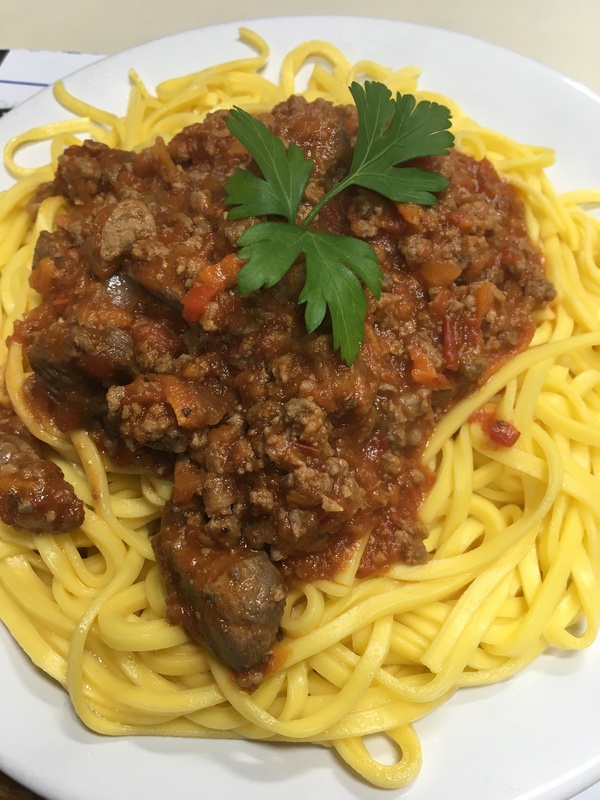 We’d even ordered a basic spaghetti Bolognese for the little one, but even that came with a Uruguayan twist. The spaghetti was distinctly eggy and yellow, akin to oriental egg noodles. The tallerines or Uruguayan noodles we had at Bar Hispano the night before were similar. This was another restaurant close to our hotel, and a chance discovery. As I walked past this joint on my initial exploration of the neighbourhood, I thought to myself, “I bet this place serves up great food.” Not because it looked fancy, in fact it was no frills and unpretentious, but there was something about the fading 50’s styled sign hanging over the door and the locals gathered around the tables, tucking into giant portions of food. It’s where we were introduced to the artery-clogging delights of milanesa con papas (essentially a thin, breaded cutlet and chips, topped with a fried egg) and where the staff doted on my little boy and served up extra large helpings of meringue pies. In an attempt to walk off all the food we’d been having, we made our way towards La Rambla, the seaside promenade that hugs the coast for over 30 kilometres, making it the longest continuous pavement in the world! Suffice to say we didn’t walk its entire length, but what little we did helped paint a picture of the lives of everyday Uruguayans. Groups of avid anglers sat patiently upon rocky piers, their fishing poles bobbing up and down as they huddled into their coats, sipping mate. Teenagers gossiped upon the seawall, taking selfies as giant cargo ships dominated the horizon behind them. Cyclists raced past families out on their afternoon stroll, a mate case, a quintessentially Uruguayan accessory slung from their shoulders. 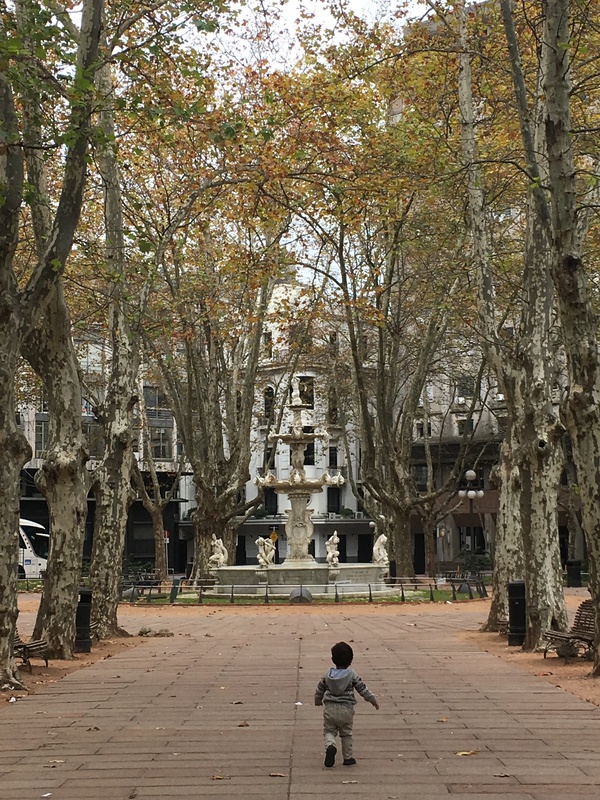 Accustomed to flying in and out of countries or at most, driving through land borders, our trip back to Buenos Aires deemed worth of reporting as we were taking the ferry back. The Buquebus ferry felt more like a floating hotel rather than a mode of transport. A grand staircase, befitting a scene from the Titanic rose up to the upper floor, flanked on both sides by glass encased lifts. Beyond stretched a well-stocked duty-free shopping zone that would put most city airports to shame. Porters were at hand to help with luggage; the staff, unfailingly polite, held doors open and got up off their seats to make way for the aimless wanderings of a toddler. A well-kitted play area was at hand to keep the children occupied. In business class you could stretch out in plush, reclining seats. It’s the sort of luxury you’d expect on the overnight ferries plying the Mediterranean, but unwarranted for a 2-hour journey, in my opinion – hence my surprise at the lavish nature of the vessel. As the ferry sliced across the waves, cutting a wide, frothy arc through the sea, I noted the one thing that made it all that bit more surreal: an entire ferry load of people were shuffling around the lush, carpeted floors, sipping wine and lounging over the banisters, in disposable shoe covers, handed to us upon boarding. Suddenly it felt more like a scene from Contagion, rather than from the Titanic. Next stop: Iguazu Falls, Argentina/Brazil!